They say, “Choose something you love and you will never work a day in your life”. That is only partially true. 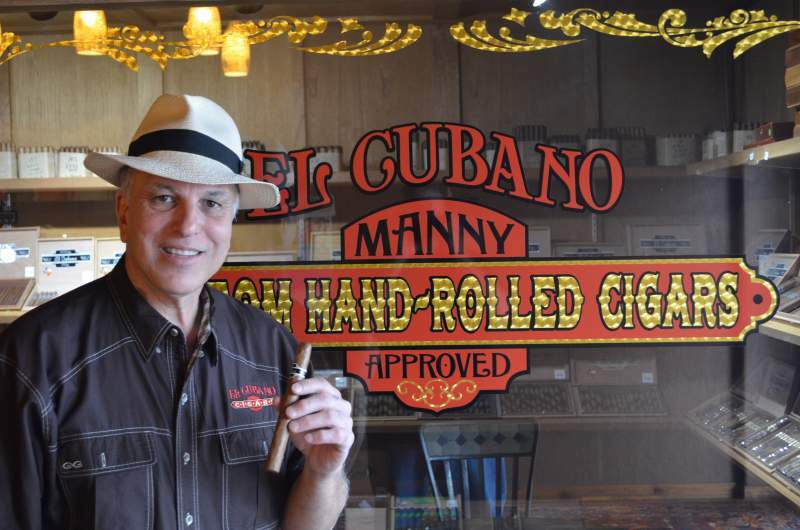 Manny Lopez, Owner of El Cubano Cigars, certainly loves what he does and you can tell he thoroughly enjoys all the aspects of the business, except maybe the regulations, but he is one hard working man. Manny does about 100 events a year where he goes off site or hosts an event at one of his stores. He was also gracious enough to sit down with me and take a couple of hours out of his schedule where we talked about cigars, his family and his company. 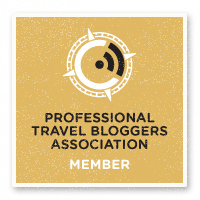 I love to travel, and not to just see the famous or popular tourist attractions but to learn about the culture and people that make them special. Just South of Houston and a little North of Galveston Island lies the town of Texas City Texas. Texas City is home to a busy deep water port, numerous petrochemical plants and refineries and the site of the deadliest industrial accident in US history. Texas City is also the home of El Cubano Cigars one of the few cigar manufacturers left in the United States. In the 1890’s there were 42,000 manufacturers of cigars. Today, there are somewhere between 50 and 75 that hand roll cigars. For those that don’t know much about the cigar industry, here are a few facts. 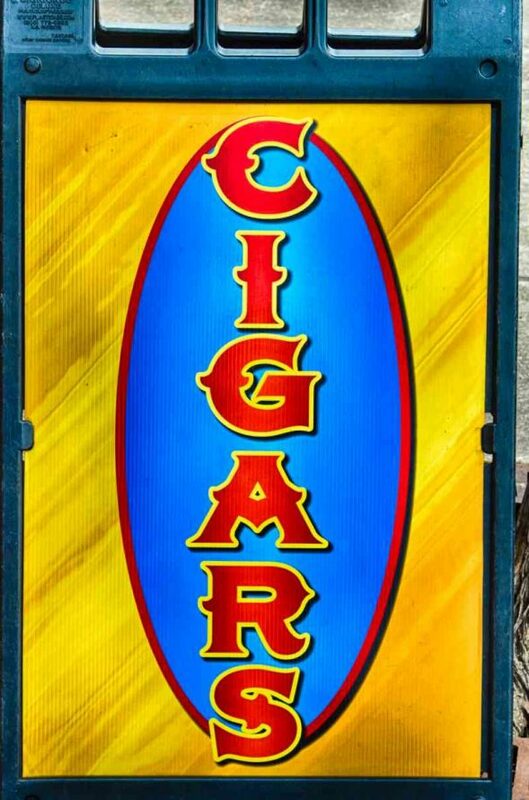 Unlike cigarettes or other tobacco products, hand rolled cigars do not have additives and chemicals. 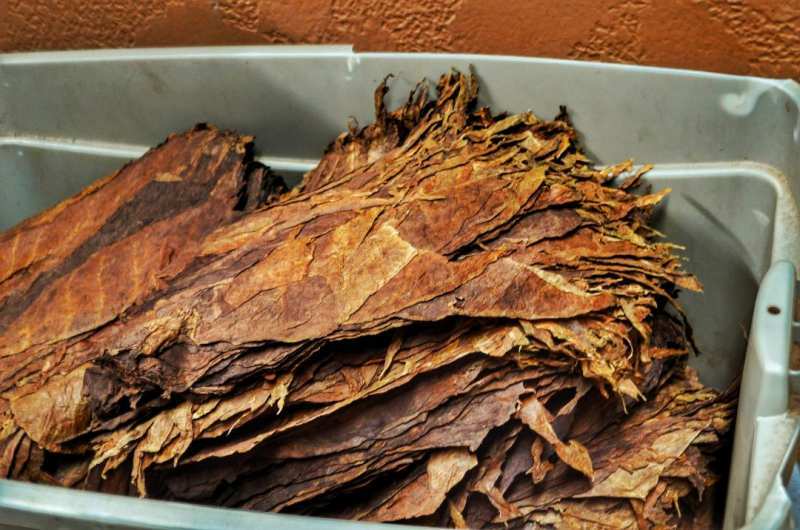 Where cigarettes and other tobacco products use chopped up pieces of tobacco, hand rolled cigars are a premium product using premium tobacco leaves and the best ones use what is called long filler, the whole leaf, not chopped up or left over pieces. Hand rolled cigars are considered a luxury item and prices can range from a dollar per cigar to several hundred or more per cigar. This is where El Cubano Cigars and the owner Manny Lopez comes in. 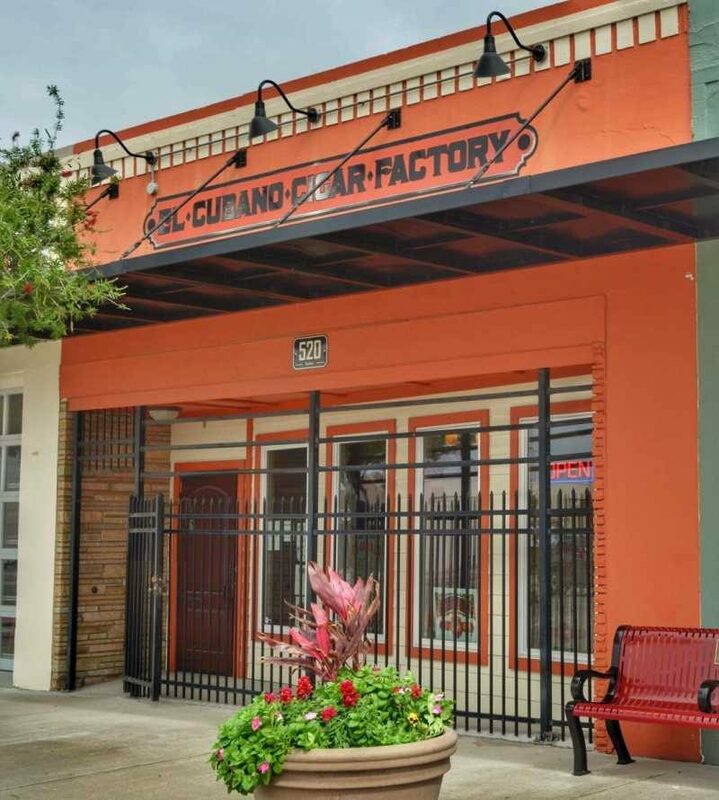 El Cubano has two stores, one in League City Texas and one in Texas City. The Lopez family began growing tobacco in Cuba in 1904 and in 1936 Manuel Lopez Sr was born. From the age of 12, Manuel began working in the family tobacco fields and learning about cigars. When Fidel Castro took over in 1959 he confiscated all the tobacco fields, cigar manufacturing and pretty much every other business in Cuba and put it under State control, forcing workers and family run businesses to now work for the government for pennies on the dollar. Manuel decided in 1961 to flee the communist run island and after 2 days of avoiding the Cuban government, arrived in Key West Florida where he sought political asylum. 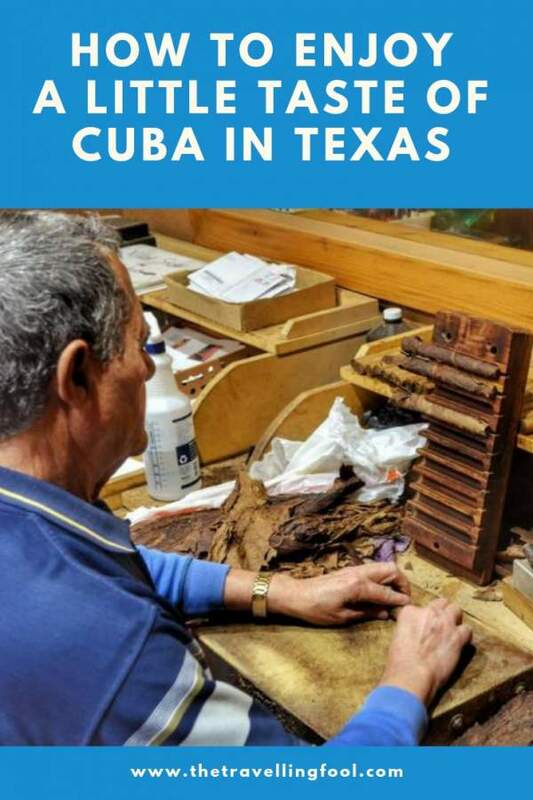 Manuel Lopez Sr migrated to Texas, got a job in the oil and gas industry and built a life for his family but continued to keep his hand in the cigar manufacturing business. 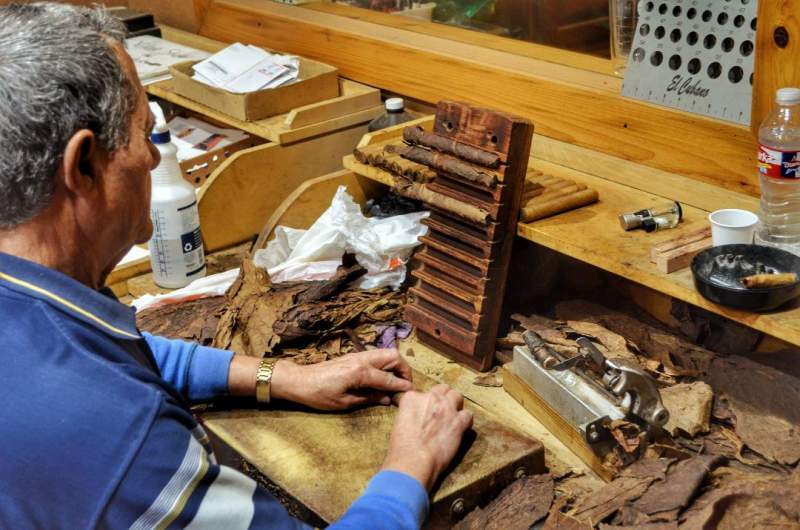 He would contact friends living in South Florida, the hub of cigar making, and arrange for them to send him tobacco leaves where he would roll his own cigars. Growing up, his son, Manny, would watch his father roll cigars and listen to stories of the family farm in Cuba. Manny went on to learn about rolling cigars from his father and would grow up to become a successful businessman in the real estate industry. Then came a fateful day in 2006. Manuel Lopez Sr has retired and as many do, started to think about what to do with all the free time on his hands. His son Manny approaches him and tells him they should open a cigar store, where they can make their own cigars, sit around and smoke them with friends and maybe sell a few. El Cubano Cigars is born. As successful businesses are prone to do, what started as a hobby with a goal not to lose money, became more and more popular and one store became two stores. 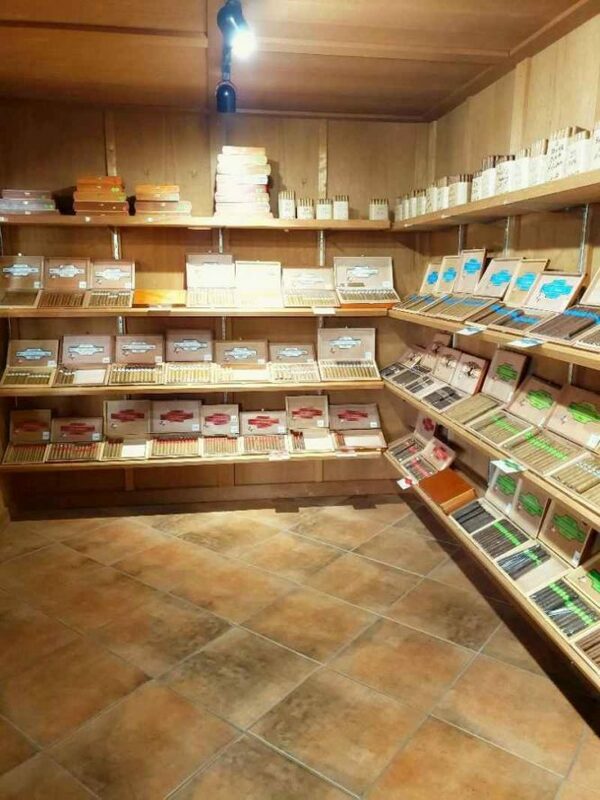 El Cubano Cigars is more than a place to smoke cigars, it is more like a man cave open to the public with each store having its own vibe and clientele. When he began, Manny didn’t want just another cigar shop with a cigar lounge, he wanted to create an atmosphere where people could come in, buy a cigar, sit in an overstuffed leather chair and engage in the age old tradition of conversation. In today’s atmosphere of smartphones, tablets, TV’s and everything else designed to discourage actual conversation El Cubano is a welcome respite. El Cubano Cigars stays true to the owner’s Cuban roots by producing cigars one at a time by skilled cigar makers and the cigar rollers at El Cubano have a lot of experience in the craft. There are currently three rollers at the factory in Texas City. 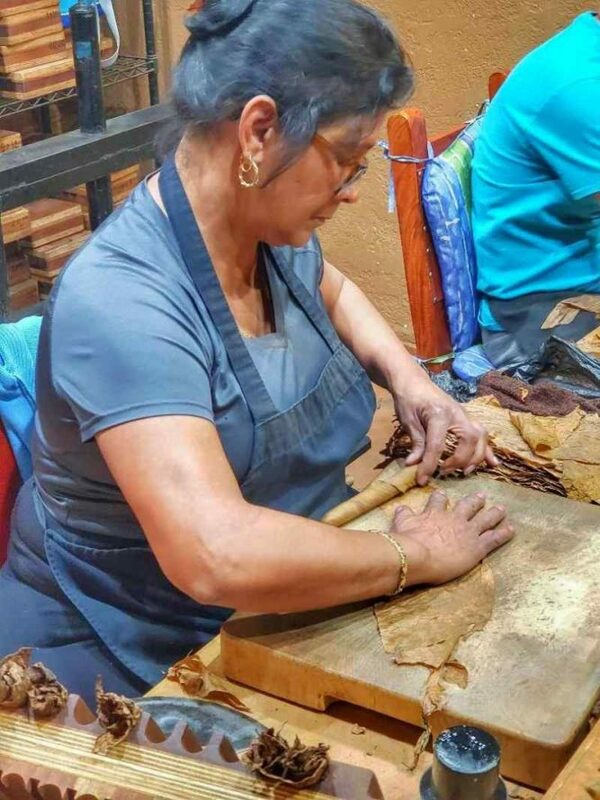 Livan Macullok who began rolling cigars in 1991 at the Partagas factory in Cuba, Adelaida Prado who began in 1989 at the H. Upmann factory in Cuba and Tito Blanco who started in 1959 at H. Upmann in Cuba. 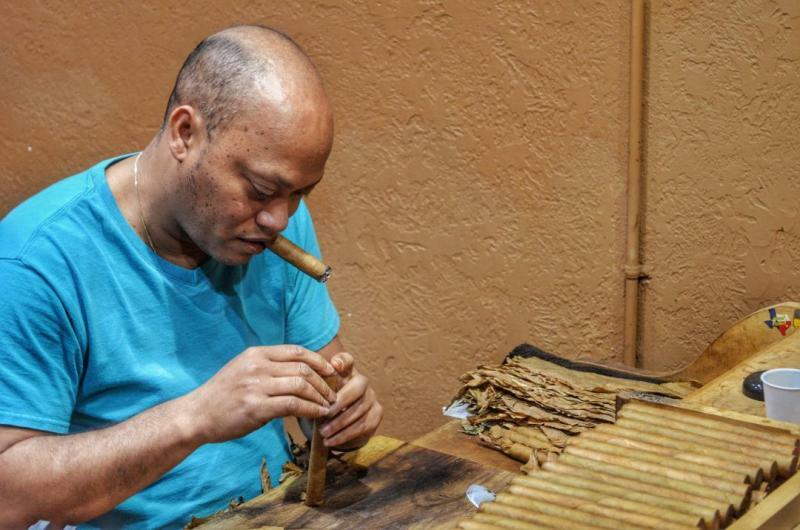 That’s 118 years’ worth of experience, not counting Manny who has been rolling cigars since he was a kid. 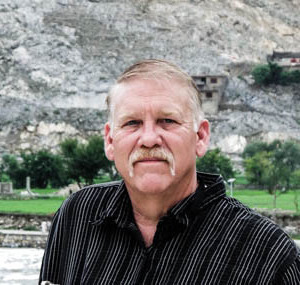 Manny belongs to a group of small manufacturers that have pooled their resources and buy tobacco from all over the world, have it shipped to and stored in Florida where he orders the tobacco in 125 lb bales keeping 8-10 bales on hand to produce his blends. About 80% of the tobacco comes from the Dominican Republic, Honduras and Nicaragua with the rest being sourced from the Connecticut Valley in the US, Mexico and other tobacco growing regions. Once the tobacco reaches the factory it has already been aged 2-3 years and the cigars are further aged at least 6 months. 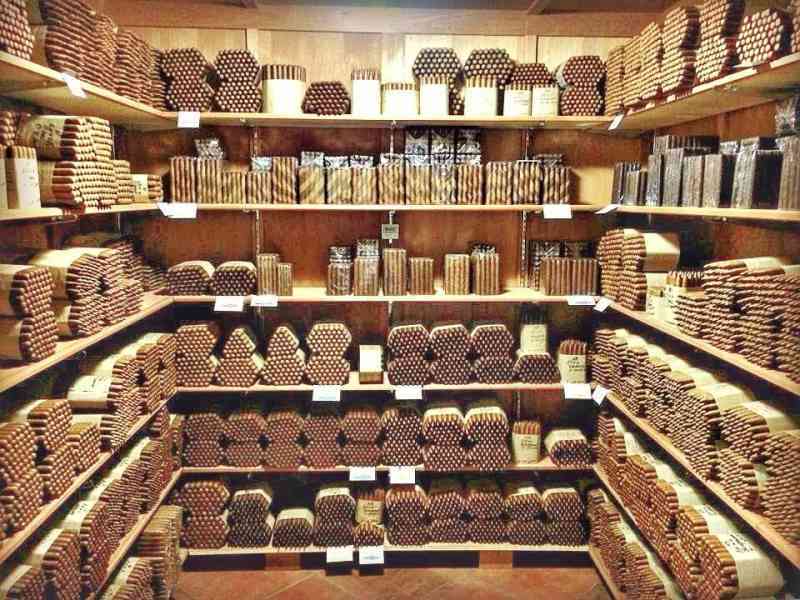 El Cubano keeps a fully stocked walk in humidor for customers and has another 50,000 cigars sitting in their ageing room. Watching the rollers produce cigars is mesmerizing as they skillfully choose the leaves and by the feel and weight to determine how many go into each cigar. The tobacco leaves are divided into three types, Volado, the leaves at the bottom of the plant which ensures the cigar burns properly; Seco, the leaves from the middle of the plant which gives the cigar most of its flavor and the Ligero leaf, found at the top of the plant which is responsible for imparting flavor and strength giving the cigar a bold profile. Each cigar has been blended to provide a distinct flavor profile and the “recipe” is then given to the rollers who re create each cigar to meet that profile. 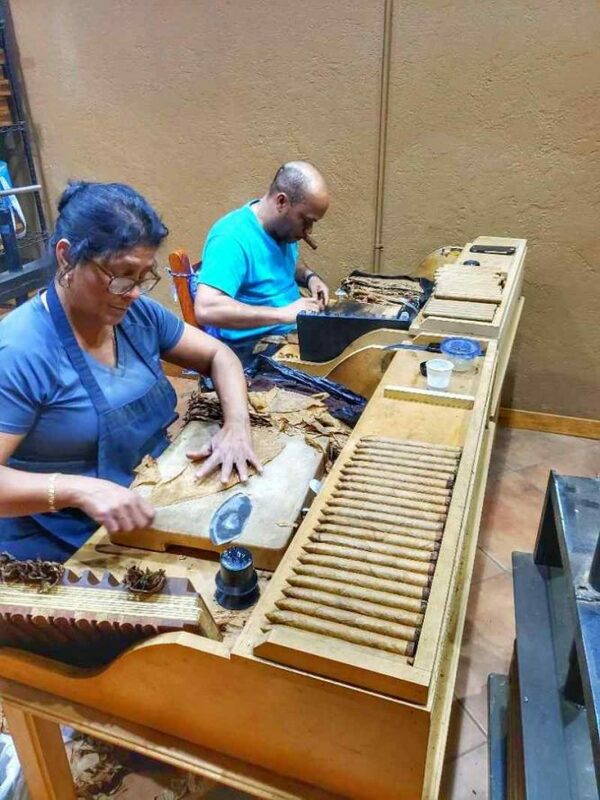 The rollers at El Cubano Cigars follow the Cuban tradition of each roller making the entire cigar from start to finish from the rolling, putting the cigar into the molds, adding the wrapper and finally the trimming and the cap. Once rolled, the cigars are placed into a mold that holds ten cigars. The roller fills up five molds before adding the wrapper and cap. Each roller produces about 100 cigars per day and they roll one blend the entire week before moving to a different size and blend. Each tobacco leaf is inspected and the stems are removed before being used, which as any cigar smoker will tell you, can sometimes plug up the cigar making it hard to draw. The trimmings from the cigars are also discarded unlike other factories which use the trimmings to make mixed filler cigars. By producing cigars this way, Manny maintains a high standard of quality and consistently produces excellent cigars with little waste. The result for the cigar smoker is the opportunity to enjoy handcrafted cigars straight from the factory. 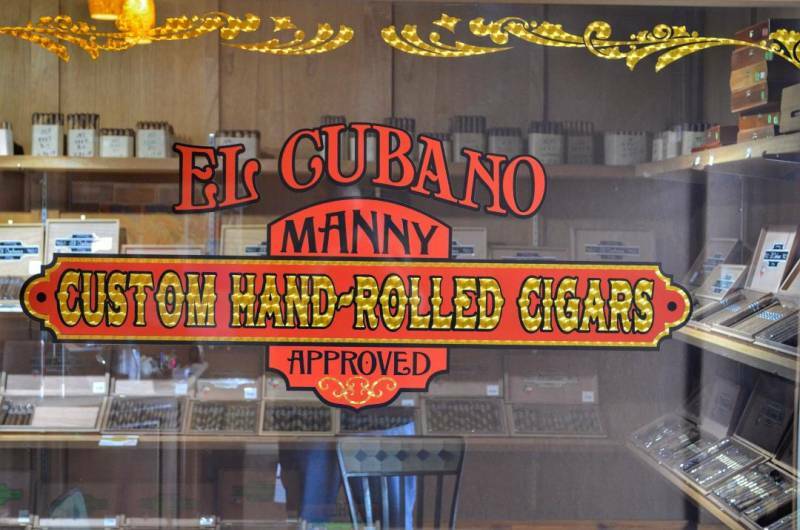 Manny has created an atmosphere at El Cubano Cigars where people from all walks of life can come and enjoy the company of others. Lawyers, business people and workers from the nearby plants all are equal within the walls of El Cubano Cigars. Conversation flows freely and if you are lucky Manny will brew you a cup of Cuban coffee while you watch the rollers ply their trade behind the glass. Whether you are a regular or a first time visitor the hospitality is the same and everyone is ready to shake your hand. One of the best parts of traveling is meeting the people that make places special and having the opportunity to be welcomed like a local. El Cubano Cigars is just such a place. Fascinating! I didn’t know anything about the making of cigars. A lot of the families have a long history in the business. This is a great article. I didn’t know anything about cigars and now I feel like I just went through cigars101. Very cool. What a great vibe! NIce article. While I have smoked cigars, it’s not really my thing. But my husband loves them. But I could enjoy a nice cup of Cuban coffee while he geeks out over the cigars.